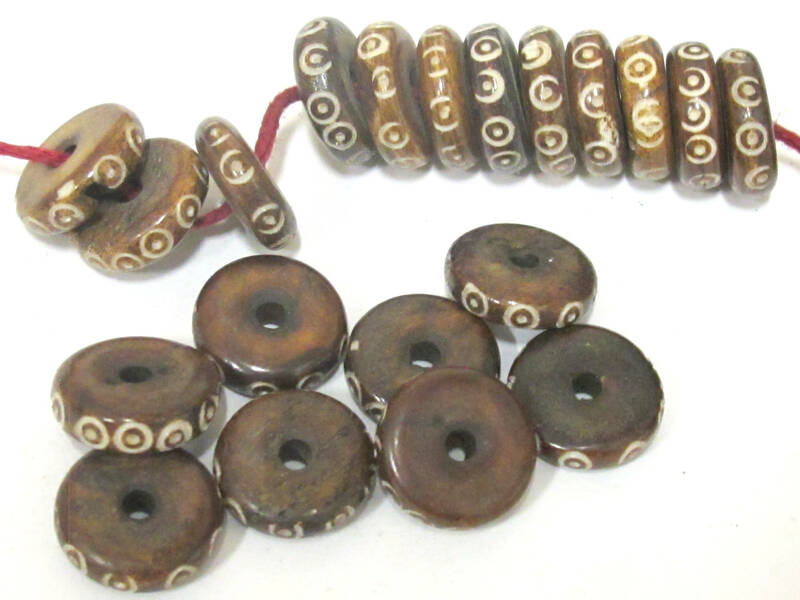 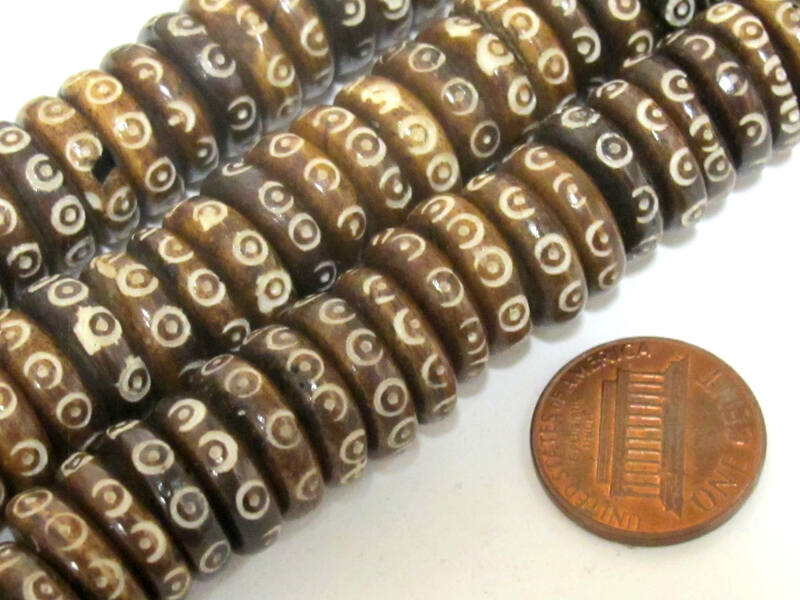 Brown color flat disc bone beads from Nepal. 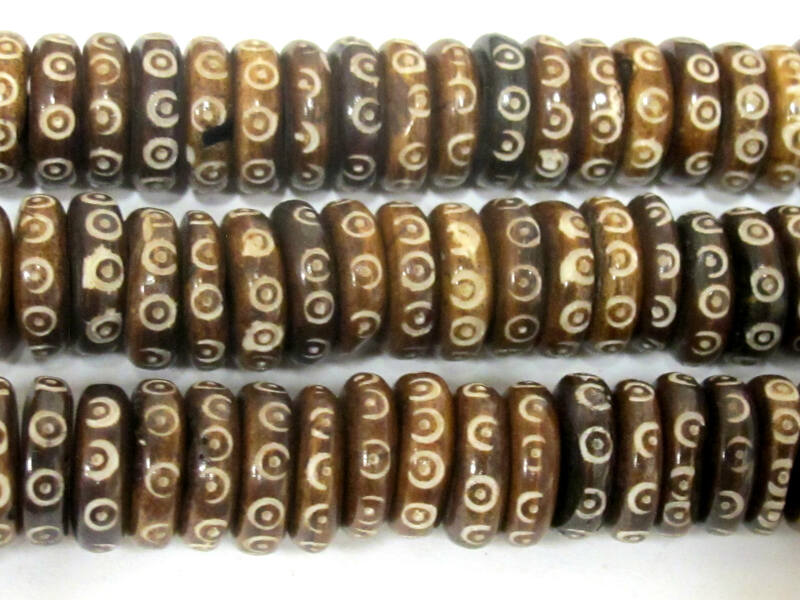 Dotted tribal design. 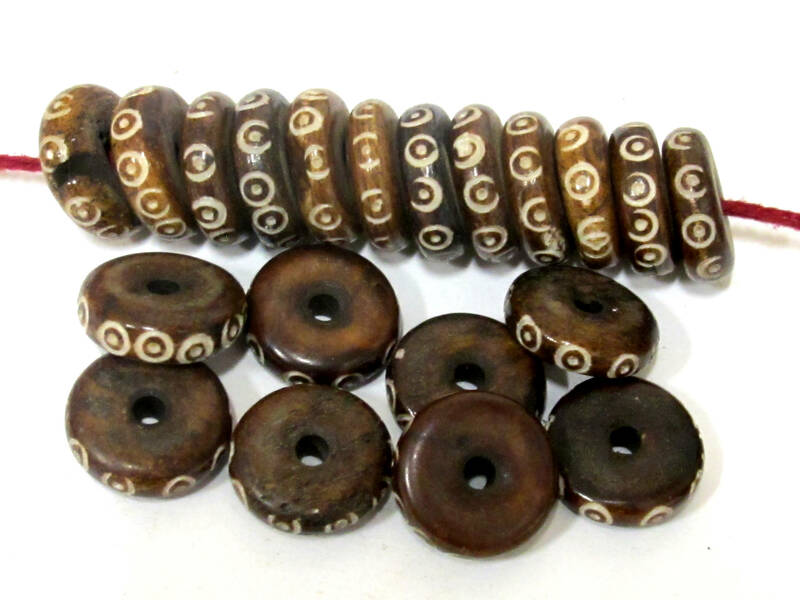 Size : Approx 14 mm wide x 4-5 mm thick. 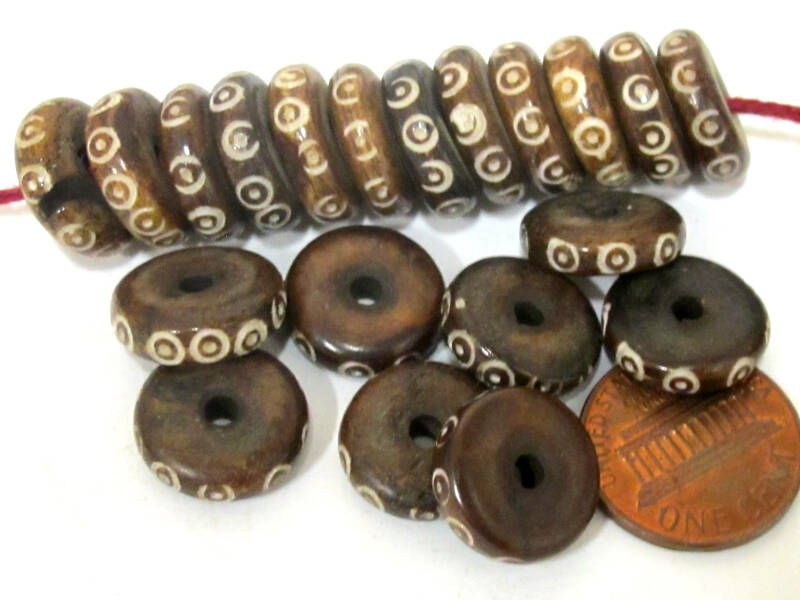 Bead hole size is approx 2.5 - 3 mm.